Indonesian security emergencies and acts of terrorism. In Jakarata bombings have occurred on January 14, 2016, the culprit is a group claiming to be a member of ISIS. In preach as much as 53 bombs have been deployed at some point the crowd in Jakarta. 7 bomb explodes, the rest are still in the search. The security situation in Bali is very tense. Reportedly Bali is the main purpose of ISIS in the bombings in Bali in 2016. Now police are on high alert. Because Bali is a major tourist destination of the world, then the police should keep the situation in Bali to remain conducive and safe. Residents of Bali are very concerned with the situation and security conditions at the moment. Terrorists are the main threat to security in Bali. If a bomb exploded in Bali back in 2016, then the economy will be worse off in Bali. Because of Bali's economy is very dependent on a conducive security. 2016 bomb explosions might occur in Bali, having occurred in Jakarta, which killed police officer who was on duty. Terrorism is a crime against humanity that is very cruel and horrible. Acts of terrorism have occurred in Bali in 2002 and 2005. 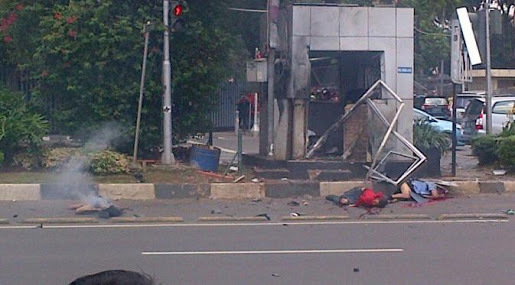 The bomb exploded in Bali and resulted in many foreign tourists died. Many local residents also died due to bombing. If it happened again in Bali in 2016, the island is no longer a haven for vacationers. Then the island of Bali will be hell for foreign tourists. 2016 Jakarta bombing resulted in the death of the police. Reportedly as many as three police died while on duty. Deliberately detonated a bomb near the police. People passing also a victim. Some people affected by bombing were injured, one person reportedly died. Bomb in place in crowded places, particularly in shops and restaurants owned by foreigners, especially Americans and Europeans belong. Terror by ISIS resulted in deep fear to the citizens of Jakarta and Bali. In the television media is shown shootout between police and terrorists. Crossfire between police and terrorist looks very clear. Visible police managed to shoot and kill the terrorists. Gated terrorists using a gun to attack the police. Three policemen died in a bomb blast in Jakarta in 2016 by ISIS. Deliberately throwing bombs by terrorists at the police who were on guard. Since then, all the police in Alert to always keep the situation and security. Because the police in Indonesia is one of the main targets of terrorist attacks. Has several times the police become victims of terrorist attacks. Bali is one of the targets of terrorist attacks. Bali bombing also targeted in 2016 by ISIS. The goal is the same as bombings in 2002, killing an American foreign citizens and allies. Target unclear goals and objectives.